Today’s Monday man crush is a fellow you may not have thought about since you were reading books written and illustrated by Jan Brett*. I’m talking about the one and only LeVar Burton, the pot of gold at the end of the reading rainbow. I know, I know. Public television is already the books of TV. But let’s go back to 1983, when Reading Rainbow started. Most people didn’t have 1000 channels***. They had, like 5 or so, and one of them was probably the local PBS affiliate. Most of the stations were showing 80s mom television during the day (meaning soap operas and talk shows by people who weren’t Oprah). PBS was basically it for kids programming, so this little show about books had a huge potential audience. The producers of Sesame Street intended for their show to reach kids who weren’t necessarily getting pre-preschool learning prep at home. Reading Rainbow filled a similar role for older kids whose parents weren’t big into books, or maybe just didn’t have the time or language skills to promote reading. Reading Rainbow had a lot going for it. The awesome celebrity guests – Eartha Kitt, anyone? – kept parents from changing the channel. The show format was almost genius in its simplicity, and the theme song was crazy-good – but the real draw was LeVar as a host. He was upbeat but didn’t use that stupid “talking to kids voice,” and he was enthusiastic about the theme of the episode, but never pedantic. Burton had the same quality as Mister Rogers (and, I’d argue, Amy Poehler in her Smart Girls series) – an adult who recognizes kids as full people. Think about most of the men on children’s programs. So many white guys, right? Look, some of my best friends are white guys. But it’s really important for all kids out there to have a man on TV who actually looks like he could be their dad or uncle. It’s not only that TV has an over-abundance of white people. People of color are also less likely to be represented positively. Negative representation does a number on kids’ self-concepts. Remember that bummer of a social experiment where kids choose between white dolls and Black dolls, and all of the kids pick the white doll because they’ve internalized that the Black doll is “bad” and “stupid?” That’s what I’m talking about here. 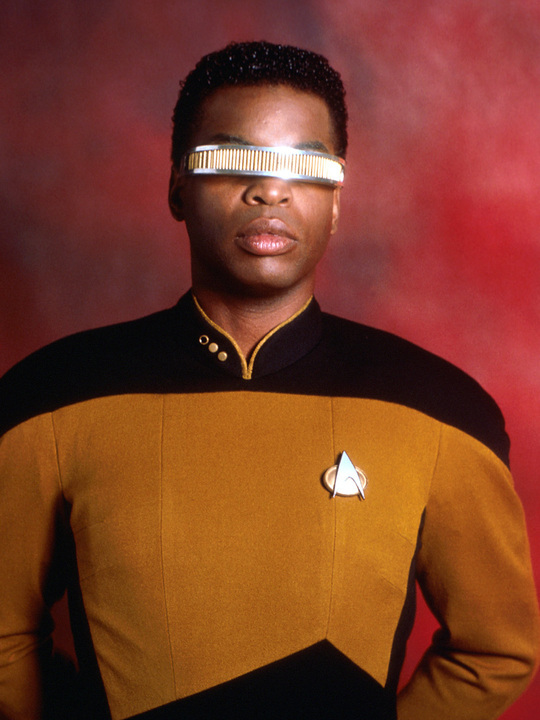 But for 30 years, kids at least had LeVar Burton on PBS – an affable, smart, cool relative- or neighbor-type. White kids needed LeVar too, especially white kids growing up in predominantly white communities. Familiarity breeds … well, familiarity. That’s why my inner-city childhood was so great – I didn’t grow up thinking of white people as the default humans. Watching LeVar Burton talk about Chris Van Allsburg books isn’t going to stop racism, but it at least helped white kids grow up thinking of one man of color as a nice, friendly guy who’s into books — and it might be some of the only exposure to that kind of representation that those kids have. As two ladies who might like Event Television more than actual events, it’s a bummer that we missed out on the huge TV sensation that was Alex Haley’s Roots. But having seen it on cable later on, it really was a miniseries worth the hype. Burton played the young Kunta Kinte, a young man who is kidnapped in Africa and sold into slavery in the United States. He was only 20 at the time, but Burton was such a pro — perfectly expressing the transition from a young warrior-in-training to a man struggling against the slave system by trying to escape and resisting a name change. For my generation, LeVar Burton is the man from Reading Rainbow, but for people a little older than us, he’s Kunta Kinte. If you only know Burton from PBS, I suggest you find a copy of Roots and give it a watch. We’re not into Star Trek. Like, at all. But we have it on good authority that people who are into Star Trek are real into Star Trek. So for those people, Burton’s tenure on the sci-fi show is probably one of their favorite things about him. Even if you’re not into space shows, you’ve got to admit that having a career portfolio that spans children’s television, science fiction and historical drama is pretty fantastic. Some of the stuff LeVar did for Reading Rainbow was straight-up silly, which is awesome. He wore medieval regalia and got transformed into a troll, all for the sake of reading. What is more attractive a guy who is so comfortable with himself that he’d rather have fun than look cool? Burton even said “I fly my geek flag proudly.” Honestly, that’s the coolest ever. When was the last time you heard anyone talk smack about LeVar Burton? NEVER. And as children who grew up with Reading Rainbow become adults, Burton is in big demand. In the past few years alone he has made guest appearances in The Colbert Report, Community, and Wish I Was Here. Do you really think that someone as awesome as LeVar Burton would get left behind the current wave of technology? Please. In the 80s, meeting kids where they were meant going to public television, but in the 2010s, kids are on the iPad. Seriously, if you ever have trouble doing something on your iPad, give it to the nearest three-year-old and they will be able to fix it for you. And then they will refuse to give it back for hours because toddlers LOVE tablets. The Reading Rainbow app promotes reading to kids who are less exposed than ever to tangible books – you know, the kind with pages and covers and stuff. You can read more about it here, but this app – like LeVar himself – is basically a huge deal. * I get that Reading Rainbow repped all childrens’ books, but why did it always seem like it was Jan Brett’s Scandinavian kinder in knit woolens? Did my first-grade teacher just have one videocassette? Going forward, please realize that my memories of Reading Rainbow might be from one episode watched multiple times. ** DON’T LEAVE. You can still read our other posts. Here’s a Baby-Sitters Club musical libretto, and here’s a live-blog of Sharknado. AND THAT’S JUST TWO OF OUR THINGS. *** Here’s where I ask you to take my word for it. Actually. **** ⅔ of which are somehow the same channel listed multiple times. Be better, Time Warner. ICYMI: Rainbows and Unicorns and Lisa Frank, Oh My!